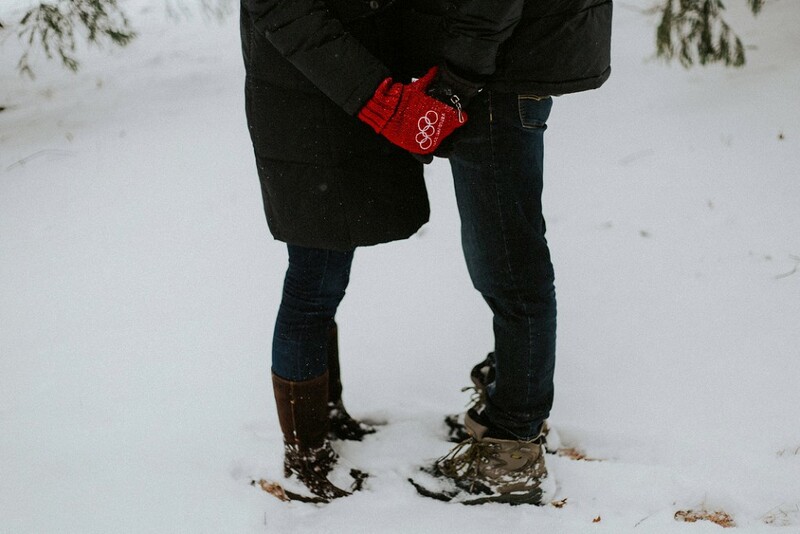 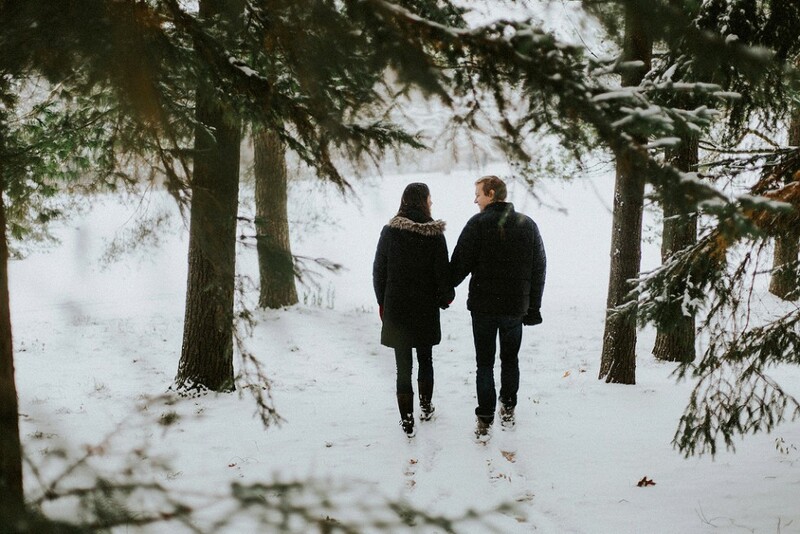 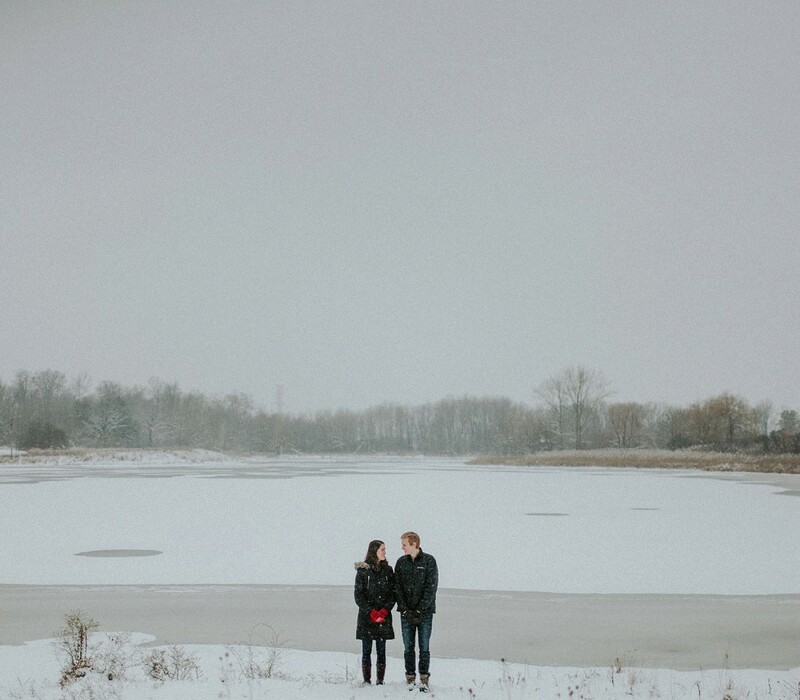 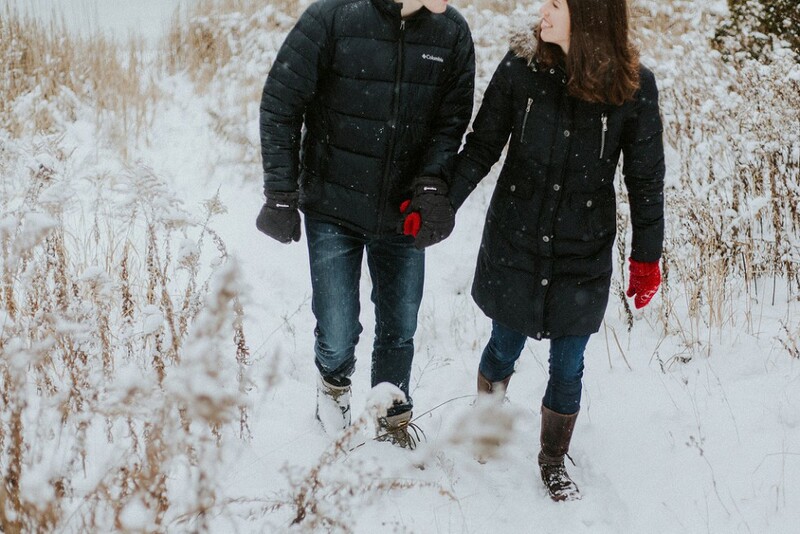 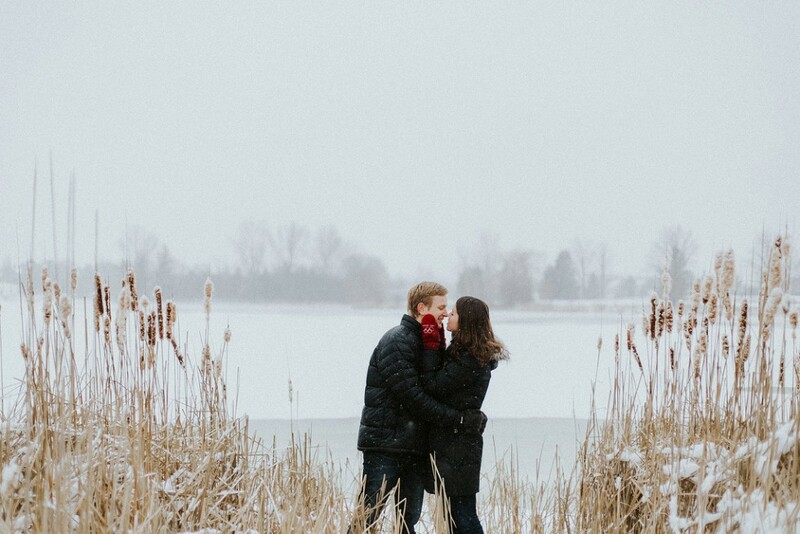 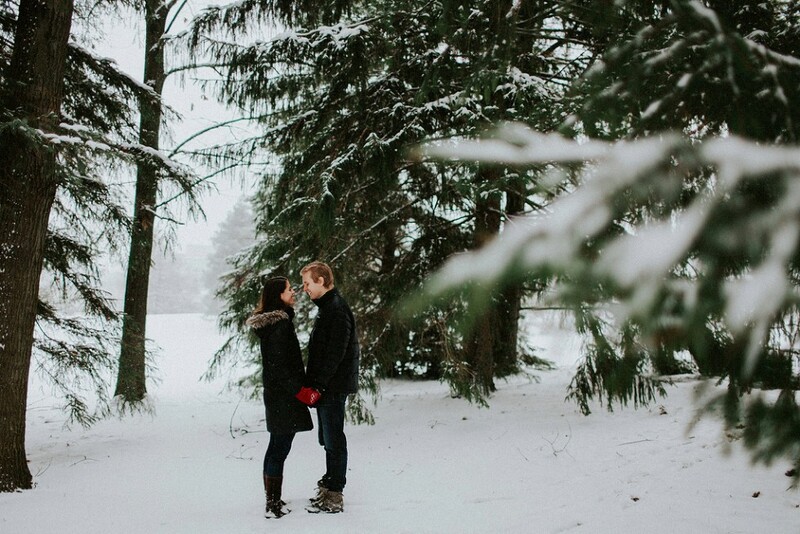 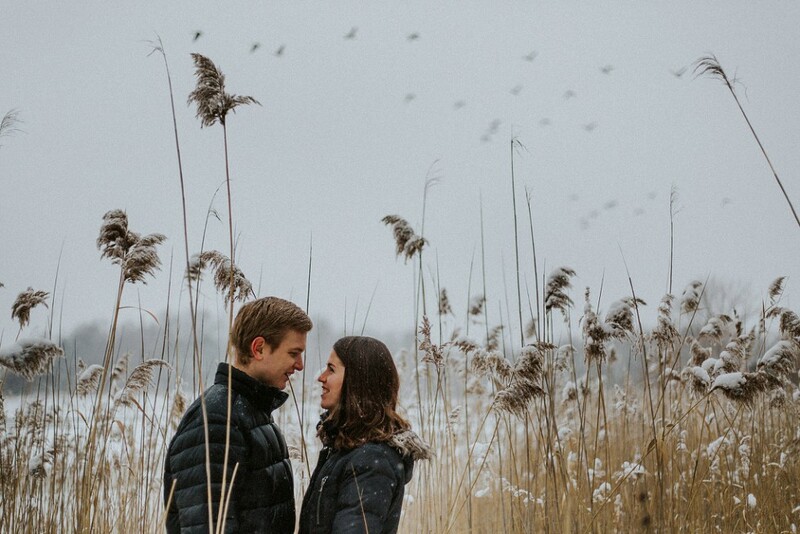 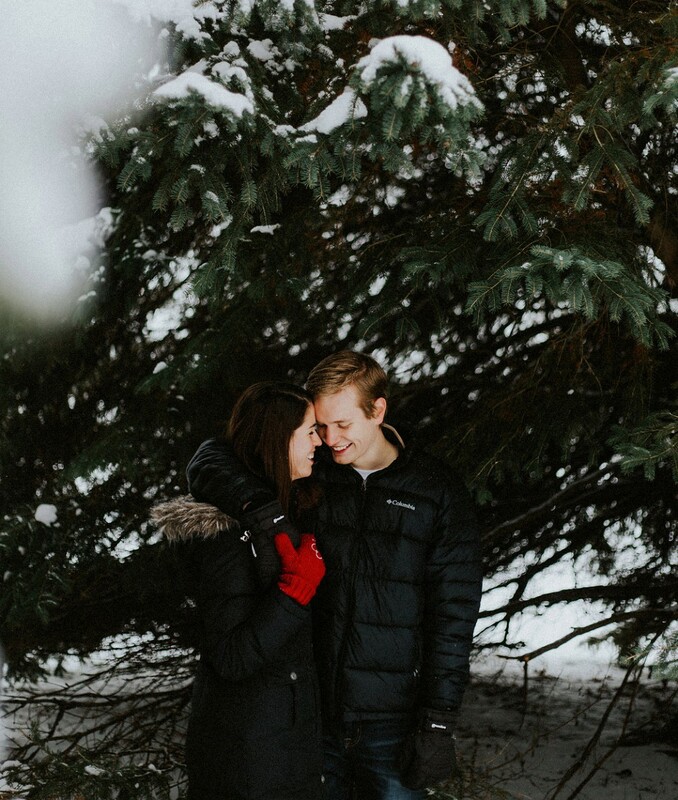 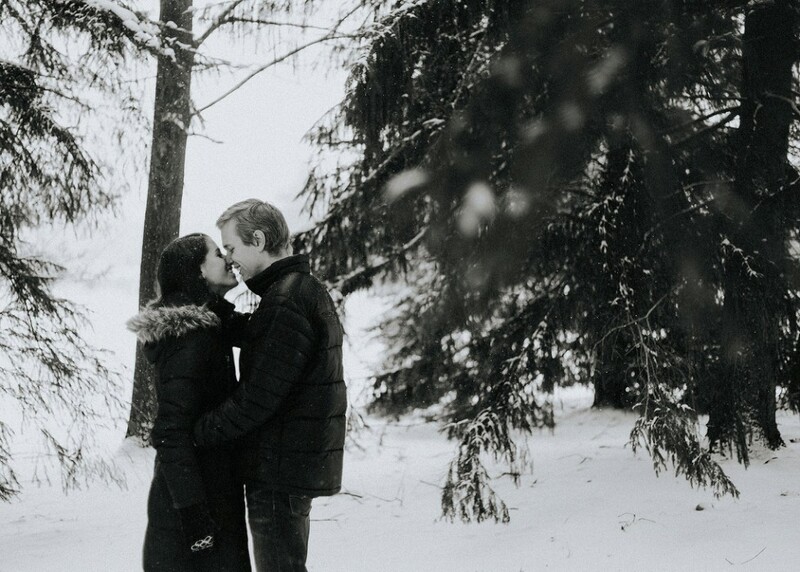 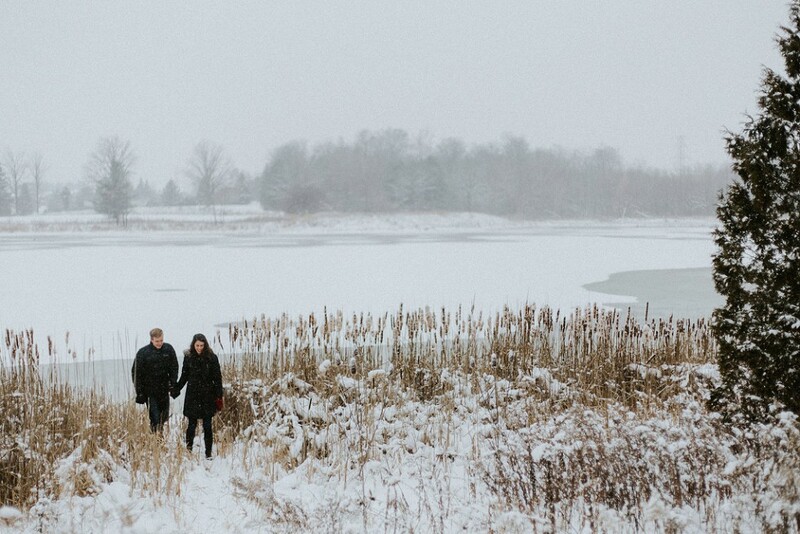 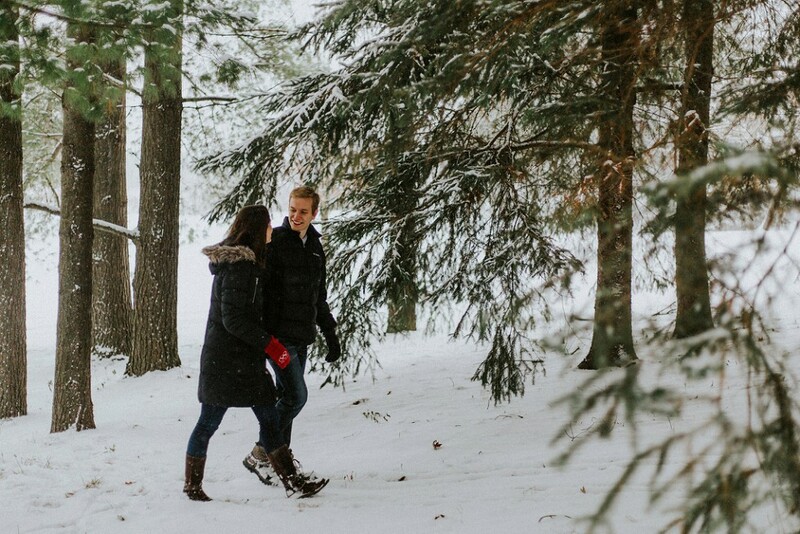 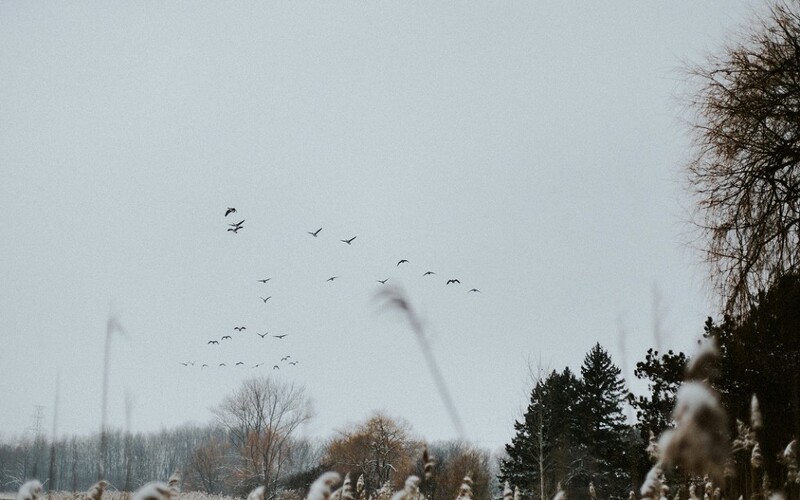 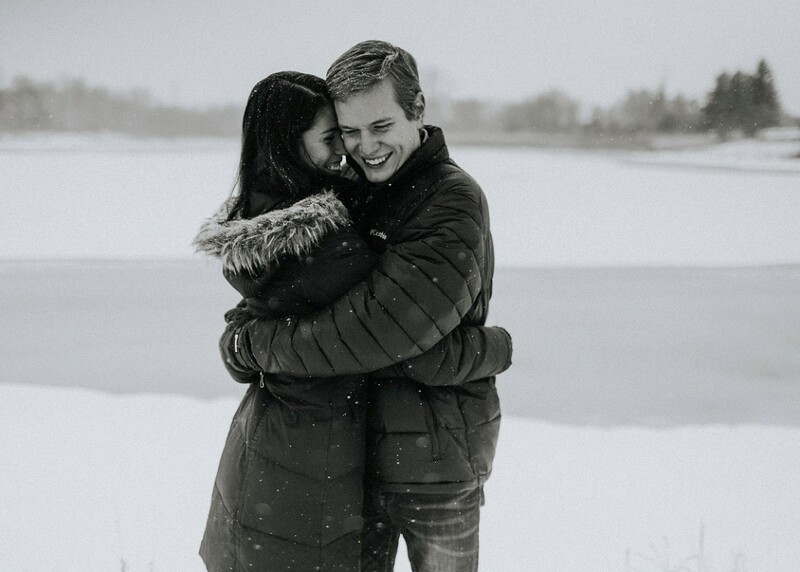 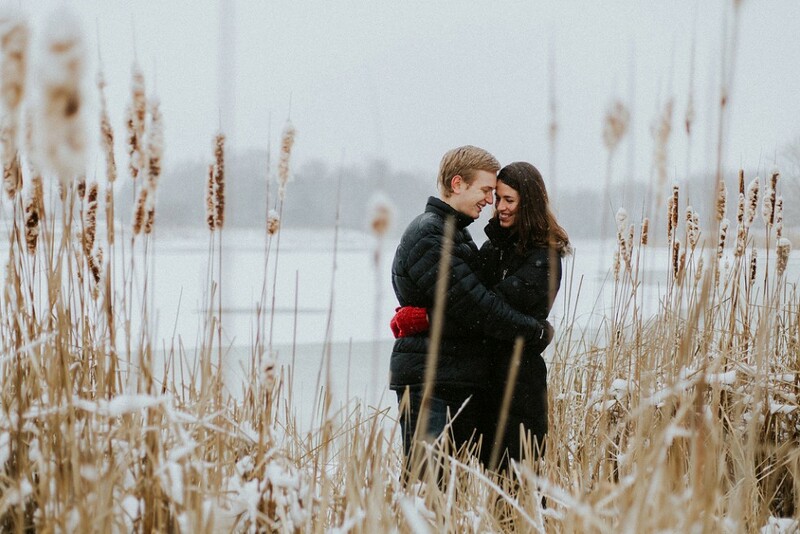 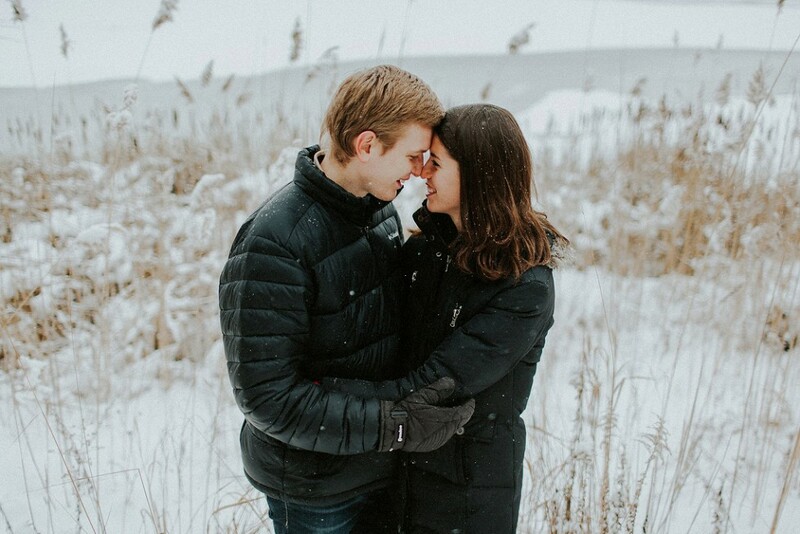 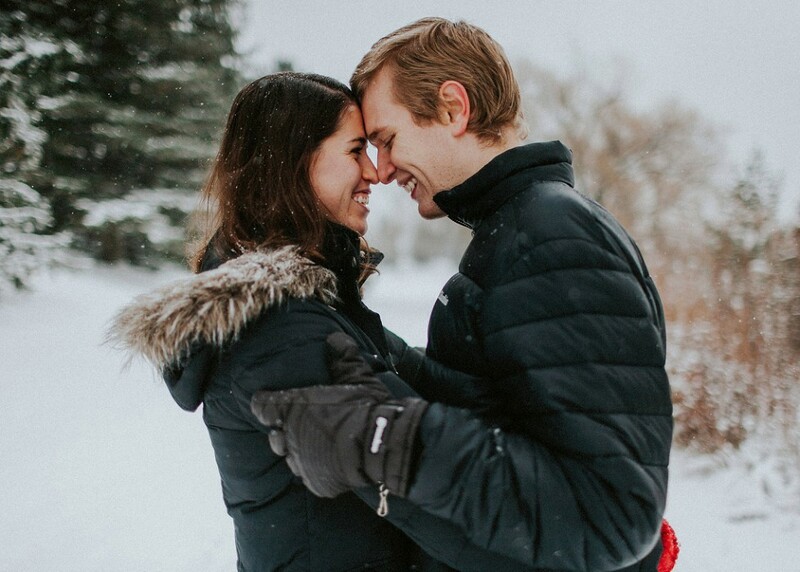 A brisk and snowy mid-December morning by this beautiful frozen lake was the perfect setting for this couple’s session. 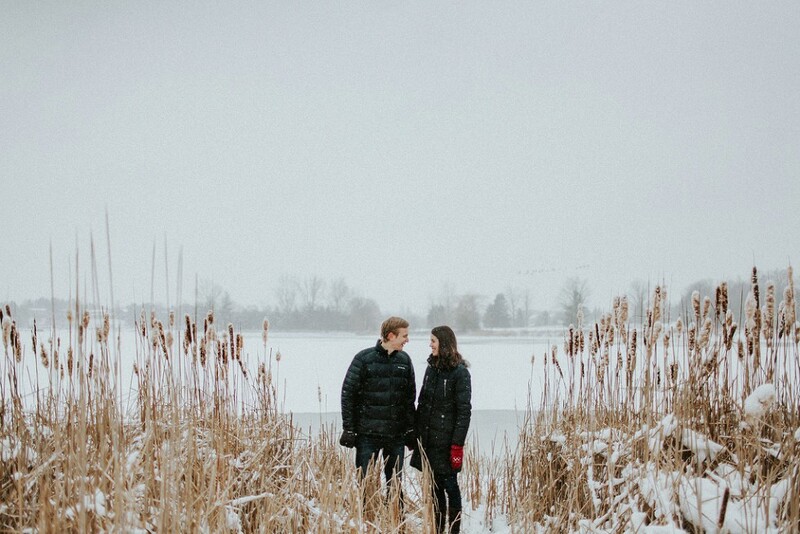 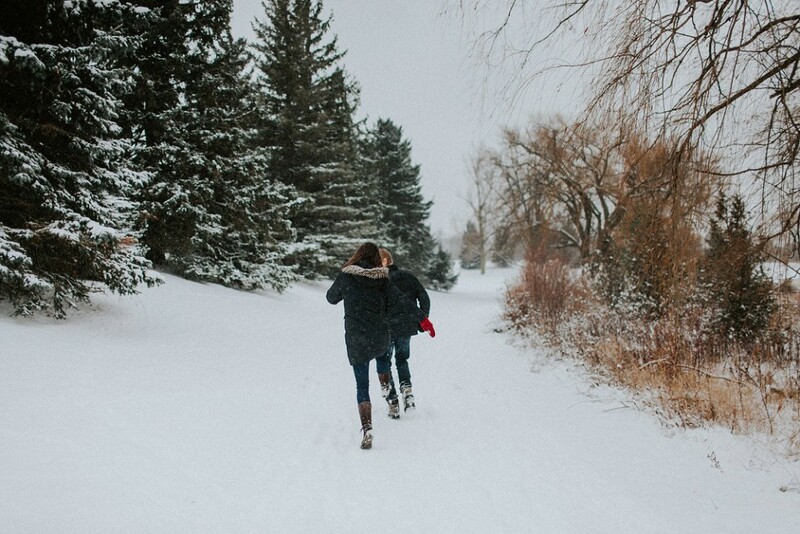 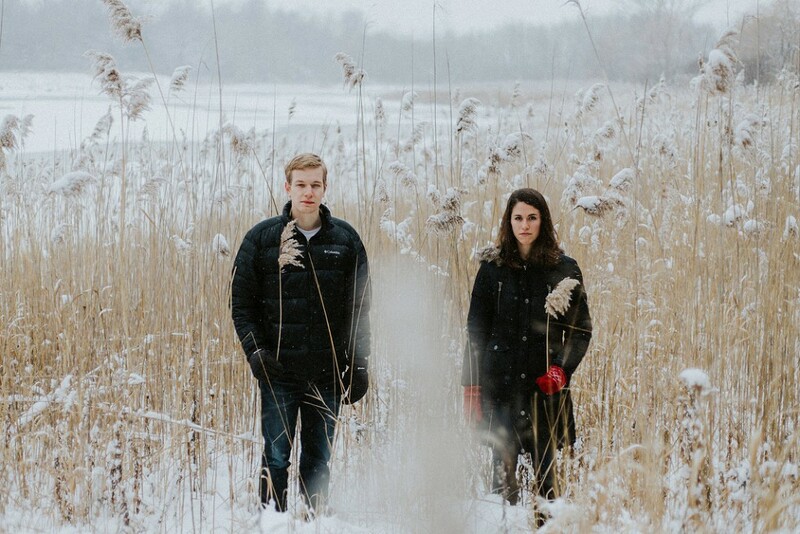 Sarah + Kit, living in Oxford and Manhattan respectively, flew home for a quick visit to Southern Ontario and we decided to take advantage and fit in a short adventure in the snow. 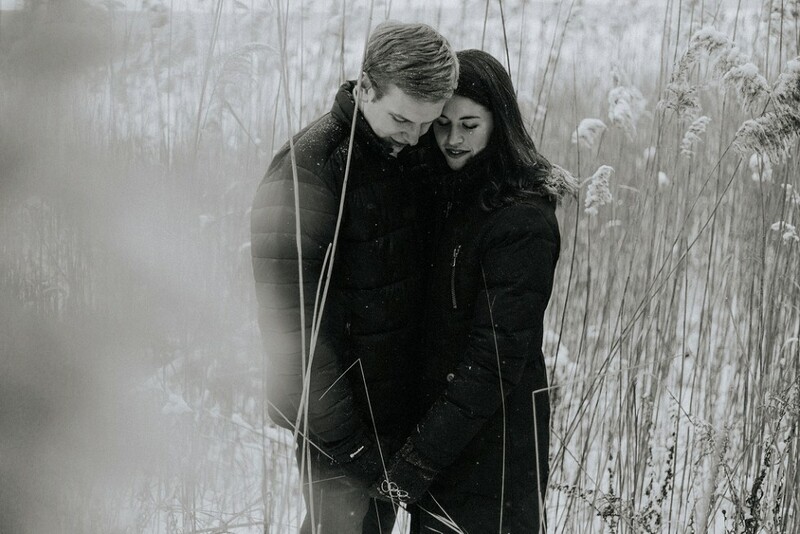 This session was special for me too, not only because it was so great to meet this pair in person once before their July wedding in Kitchener, but because this was the last session I shot in this amazing outdoor space I had the pleasure of calling my backyard for 4 years. 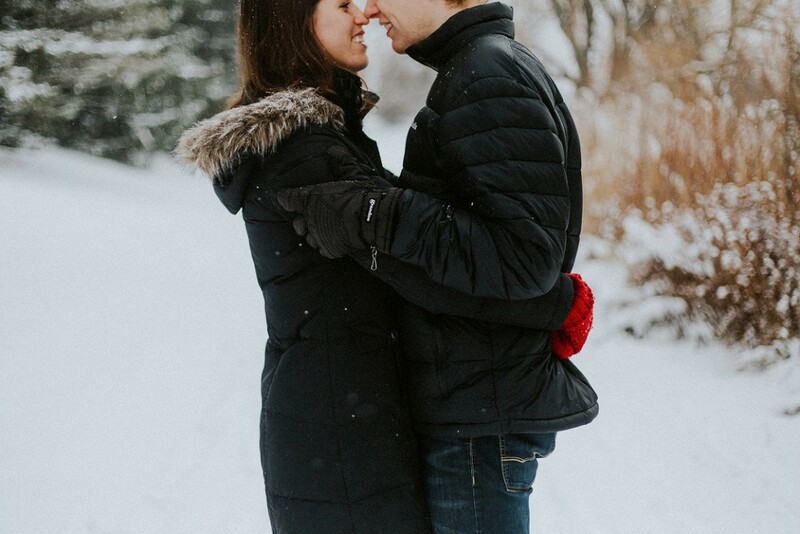 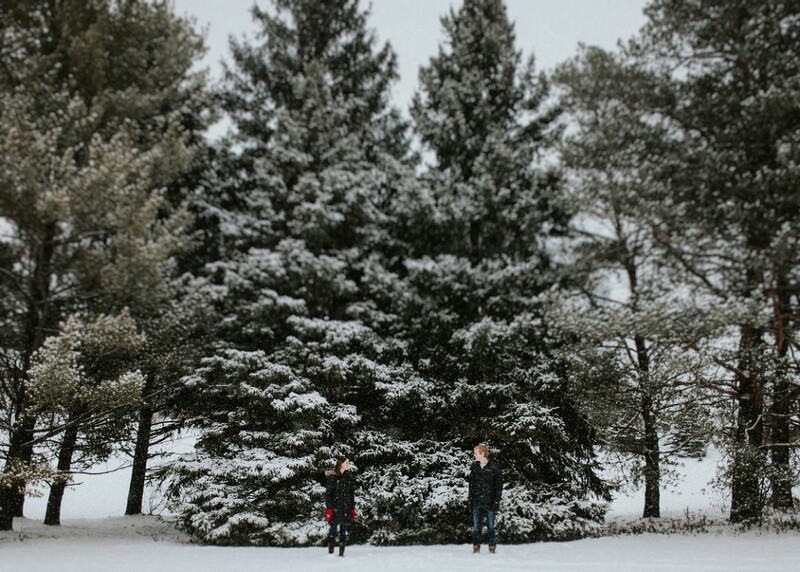 We were appreciative of a mild temperature while the perfect amount of flurries surrounded us; definitely a wonderful start to the winter portrait season!